Mobile marketing used to be a rarity, something that would set a business apart among its competitors. Not anymore. Now, mobile is necessary for maintaining a strong presence or implementing a successful marketing strategy in any industry. In 2017, smartphone unit shipments didn’t increase for the first time ever, as market penetration was maximized. Not only that, but consumers are now spending approximately 3.3 hours a day consuming digital media on their mobile devices. It’s been a long time since phones were only used to make calls or send text messages. You can’t afford to miss opportunities to reach your customers where they spend so much of their time. Consider these tips for revamping your mobile marketing strategy to remain competitive in the digital age. 1. Optimize everything for mobile. All of your channels need to be built with mobile in mind. Customers expect all content to be mobile-compatible; they don't want to have to switch to a desktop when they’re interacting with your bank. From your website to email campaigns to SEO/SEM marketing, your content should be easy to find, view, and use on a mobile platform. If this isn’t the case, you’ll lose customers due to frustration and inaccessibility. 2. Enhance your social media presence. Social media and mobile go hand in hand, as a comScore report found 20% of all digital media time is spent on social media, and 79% of social media usage is on mobile devices. 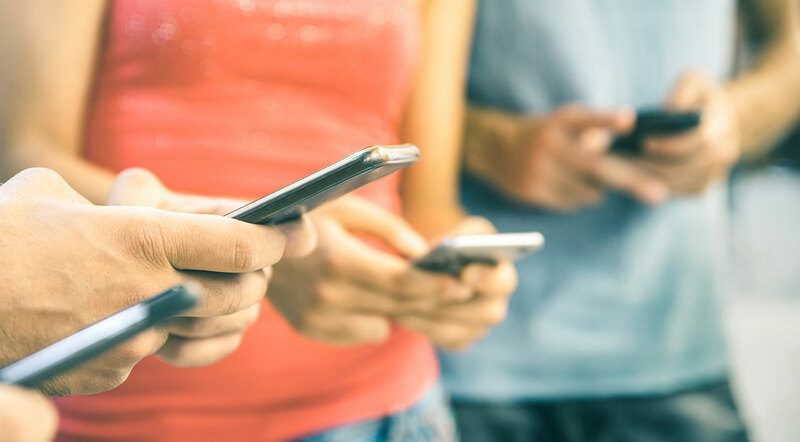 In order to reach customers on mobile, you’ll need to be active on social media, publishing original, curated, and sponsored content that’s relevant to your followers. Check out Facebook Marketing for Banks & Credit Unions: What You Need to Know for tips on maximizing your Facebook page and content. 3. Continually refine your app. Mobile banking apps are here to stay. Customers should be able to complete all of their banking tasks from your app, including check deposits, money transfers and statement reviews. In order to provide an experience that will keep them coming back and using your offerings, you’ll want your mobile app to be as user-friendly as possible. Continue to identify changes or updates that would benefit your customers here. The best way to find out what’s working well and what isn’t is to ask your customers for feedback - consider sending surveys for insight about their app user experience. Data analytics has become crucial to many business functions across all industries - including financial. In terms of marketing, analytics provides insights around customer behavior and demographics that allow you to be more targeted in your approach. Additionally, according to McKinsey & Company, “Successful digital banks deliver a truly seamless multichannel experience by gathering real-time data and using analytics to understand the customer and build the proper (and always consistent) journey view.” Take advantage of the customer data you have to effectively reach them on their mobile devices. There’s no doubt that an effective marketing strategy for banks and credit unions needs to include a heavy mobile component. Mobile is the way of the world, and the financial industry has begun to adapt to this change. 360 View’s growth platform provides helpful tools for implementing a mobile marketing strategy. Our CRM allows you to manage data and gather critical insights for executing campaigns across mobile platforms. Schedule a demo with our team to learn how we can support you.